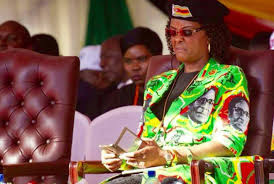 GOVERNMENT has stopped funding 18 pupils attending former first lady Grace Mugabe’s private school under the Science, Technology, Engineering and Mathematics (Stem) programme after it emerged that the school controversially benefited from the state-sponsored initiative, the Zimbabwe Independent can report. At the peak of her husband’s 37-year rule which came to an end last November following a military coup, Grace expanded her empire to areas such as real estate, farming and education. She built a private school in Mazowe. The Independent has learnt that government has since stopped paying fees totalling US$3 800 per term for each of the 18 pupils enrolled at Amai Mugabe High School under the Stem programme, forcing parents to look for places elsewhere. The Stem initiative was introduced at the start of 2016. It provides free education to Advanced Level students registered for Stem undertaking subjects like Maths, Computer Science, Physics, Chemistry and Biology. In January, government suspended taking new entries under the programme. The government is however paying for pupils who had already enrolled.